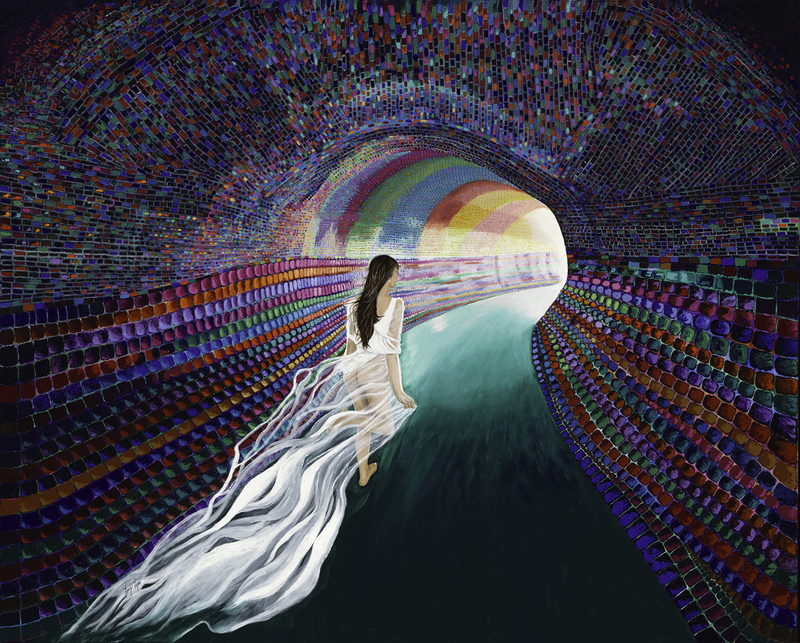 Woman in a white dress escaping through a multi-colored tunnel. Original, Acrylic on Canvas. A polished brass floating frame included is optional.